Making the holidays nicer for our veterans! Student Council is the hub of most officially-recognized student activity. Students vote each year for a student council president and supporting officers (typically from the sixth, seventh and eighth grades), positions that carry real responsibility. The Student Council officers lead announcements at the morning Triangle. Two class representatives from first through fifth and sixth grade are chosen from each homeroom to serve on the student council. The student council organizes and implements student events. The council positions allow students to observe and learn qualities of leadership. All students are invited to take part in the activities and present new ideas. 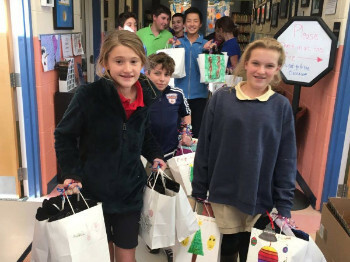 The student council participates in community service projects and raises money to benefit those in need. The Jefferson School students participate in the Jefferson Awards Youth Service Challenge. 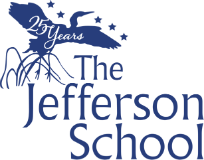 The Jefferson School received a Jefferson Award for two projects during the 2012-2013 school year and one project during the 2013-2014 school year for commitment to the community. On April 21, 2014, two student council officers attended the Annual Jefferson Awards Salute to Service in Delaware ceremony at the Hotel DuPont in Wilmington. 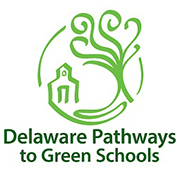 The Jefferson School was one of five state-wide finalists! During the 2015 school year, The Jefferson School was recognized again for service to the community. The student council's food bank project and Seaford House project were both recognized by the mayor of Georgetown. In 2016 The Jefferson School was chosen as one of fifteen National Award finalist for Lead360. Although not one of the three winning projects, TJS was recognized by the mayor of Georgetown for service to our community! 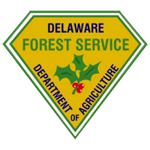 Projects included food collection for the Delaware Food Bank and Care packages for Veterans. Way to go TJS! 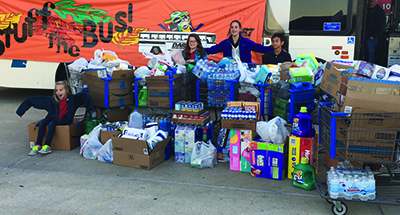 The small school with a BIG heart - Stuff the Bus!